For years, health professionals and nutritionists have been pushing the egg white as a healthier alternative to eating the entire egg. Unfortunately, this bad publicity for whole eggs and the prevalence of menu items such as egg white omelets has led the general public to believe that egg whites are a healthy way to eliminate fat and calories from their diet and reduce bad cholesterol. There are a few problems with this egg white craze. Calorie reduction is not nearly as important to a healthy diet as previously thought, healthy fat is actually an essential part of any meal, and dietary cholesterol doesn’t affect the risk of heart disease. It seems obvious that, yes, egg whites do have fewer calories than whole eggs. This is due in no small part to the fact that you are eliminating a substantial part of the egg by removing the yolk which means that a calorie drop is inevitable. Recent research backs up the idea that it is not the number of calories that should be focused on, but the quality of the food you’re eating. Everybody is different, and every person responds differently to various diets and food choices. The important thing is that you listen to your body and cut out processed, sugar-laden foods and unhealthy drinks like soda. Along with this, it is essential that you add in healthy fruit and vegetables, and great sources of protein…like whole eggs. Fat is back in fashion. And in a good way. In the early 2000s and late 1990s when eating fat was thought to make you fat, egg whites rose to popularity because they cut out the majority of fat from your morning scrambled eggs. Thankfully, mainstream media and scientific research have come to realize that fat doesn’t have that great of an effect on your pant size. In fact, certain fats have become recognized as an essential part of any healthy, well-balanced diet. Plus, to put things into perspective, one egg has about one-tenth the amount of fat that is in a single avocado. The third argument for the banishment of the whole egg as healthy food is that eating the yolk of the egg can increase blood cholesterol levels in the body, consequently increasing heart disease risk. In fact, while the egg yolk does contain dietary cholesterol, studies have shown that there is no correlation between eating the entire egg and an increase in heart disease-related death. 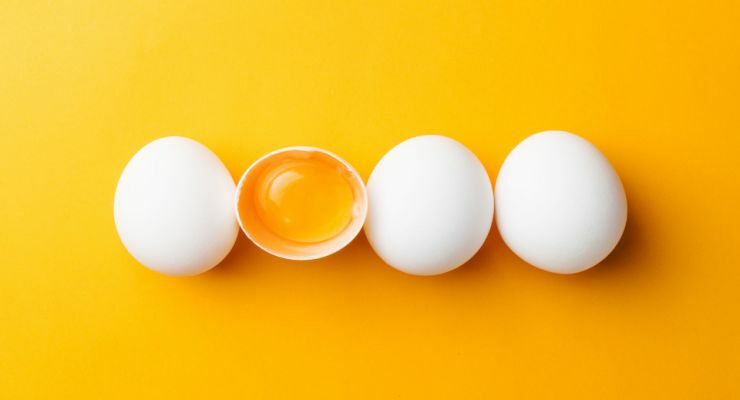 Not only are all of the accusations against the egg completely false, but there are also a lot of nutritional benefits from the egg yolk that you will miss out on if you simply eat the white of the egg. The egg yolk is a golden treasure filled with important minerals that your body needs to function including iron, zinc, folate, selenium, choline, and phosphorous. Plus, it also contains essential vitamins A and D.
With all that said, removing the yolk from the egg and going to great lengths to avoid the “unhealthy” yolk is not only foolish but can actually cause you to miss out on any of the true nutritional value of eggs. Not to mention that whole eggs taste significantly better than their bland, stripped-down counterparts. What’s not to love? Here are just a few easy ways to enjoy whole eggs for breakfast, lunch or dinner. Scrambled: Scrambling eggs can be an easy way to incorporate vegetables, spices, and meat into your eggs. This is a better option than an omelet for the beginner as scrambling eggs requires very little technical skill. Be sure to use a healthy oil or fat such as coconut oil, avocado oil, or butter to coat your pan. Baking: Though your eggs lose more nutrients when you bake them, it is easy to make delicious dishes like quiche and mini egg cups in the oven. Hey Buddy!, I found this information for you: "Eggs vs Egg White – Why Whole Eggs Win Every Time". Here is the website link: https://www.tropicalhealth.com/eggs-egg-white-whole-eggs-win/. Thank you.